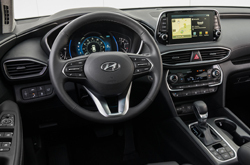 What's New for the 2019 Hyundai Santa Fe? The previous Hyundai Santa Fe models already had a strong reputation as mid-size SUV warriors. The 2018 model was a finalist in the U.S. News competition for the best three-row SUV for the money. 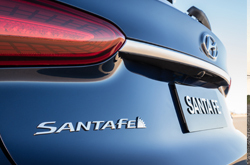 This edition does not feature a third row as Hyundai has split the Sante Fe into a bigger model called the Sante Fe XL. This version will feature the larger third row and is coming soon.The previous model also ranked number 15 in the mid-size SUV category, and it already had a substantial fan base that felt it was one of the safest and most reliable SUVs on the market. It's hard to improve something that's near perfect, but Hyundai managed to do just that. 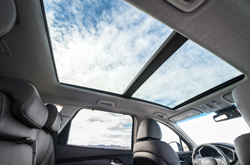 Here's some information on the impressive changes that you will see in the upcoming 2019 Hyundai Santa Fe. Which Trims and Features Have Been Upgraded? There are some technological additions that should excite you. The vehicle will have front and rear USB charging ports so that you and your passengers can keep your most precious and important devices charged and connected to the world. The vehicle will also have a rear view monitor so that you can stay abreast of what's going on behind you. Additionally, the newest model has Android Auto and Apple CarPlay with support. Both programs are designed to keep you connected to vital applications. Some of the most significant changes that you'll see in the 2019 Hyundai Santa Fe are in its body. The 2018 model was quite classy and sleek, which are two qualities that consumers still adore. The 2019 model, however, wears a dominant element of playful aggression. The words playful and aggression are not often seen together in the same sentence, but that's why the 2019 Santa Fe is so unique. Its voluptuous side indentations will flirt with you, but its sharply contoured grille and bold fascia will tell you that it means business. The mix will overwhelm you. This model is in a whole new class of its own. It doesn't take anything from the previous model. Instead, it gives you a distinct new option for your unique personality. The diesel engine is another new addition to the lineup. This will be the very first diesel model that the manufacturer is offering for sale in the United States. A diesel is an excellent option that you may want to try. One of the benefits of such a model is that it can be highly fuel efficient. A diesel motor can offer you additional torque, as well. The option will be a four-cylinder, 2.2 motor that delivers 200 horsepower. It will have front wheel drive capability, but you will have the option to request an all-wheel-drive model. Rear Seat Occupants Alert and Safe Exit Assist are two technologies that will improve your security. The Rear Seat Occupants Alert system will make you more aware of the children and the pets while you're driving. The vehicle has sensitive sensors that will alert you if it detects movement in the back seat when the doors are locked. Safe Exit Assist is a wonderful new feature that helps to prevent little accidents with bicycles, motorcycles, and other vehicles. It will stop your doors from opening if it senses that another vehicle is approaching from the back. In other words, it'll give you the safest exit possible. You'll want to be one of the first people to get behind the wheel and experience this model's magic. 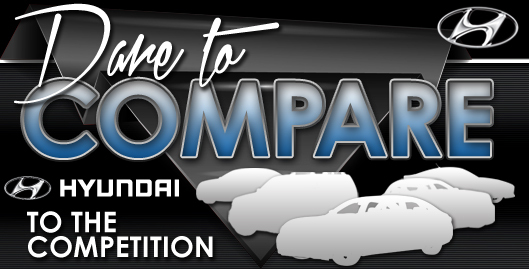 Our dealership wants to share the experience with you and help you become the owner of this masterpiece. Search our inventory, and then call us to let us know when you're ready to ride.